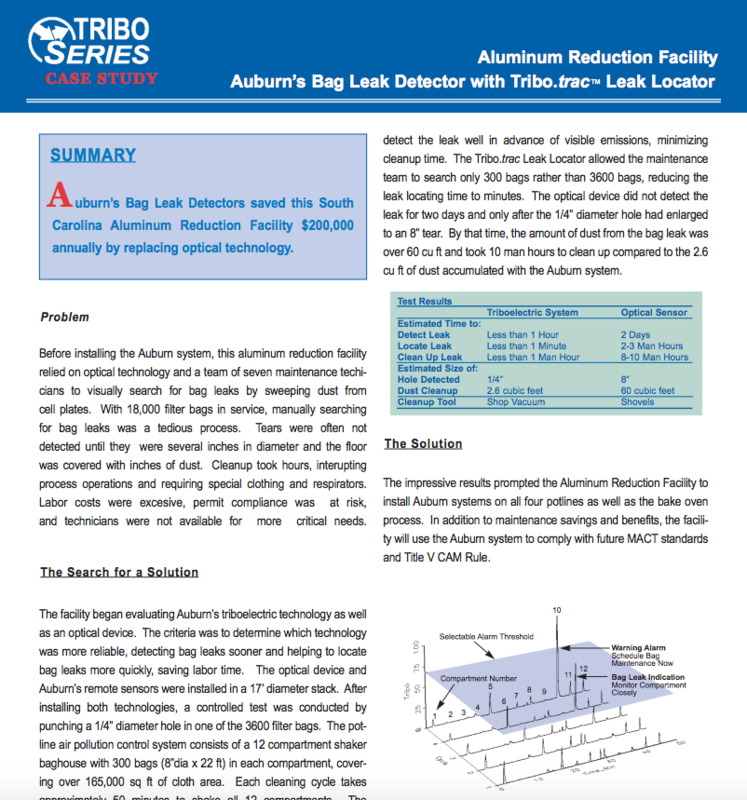 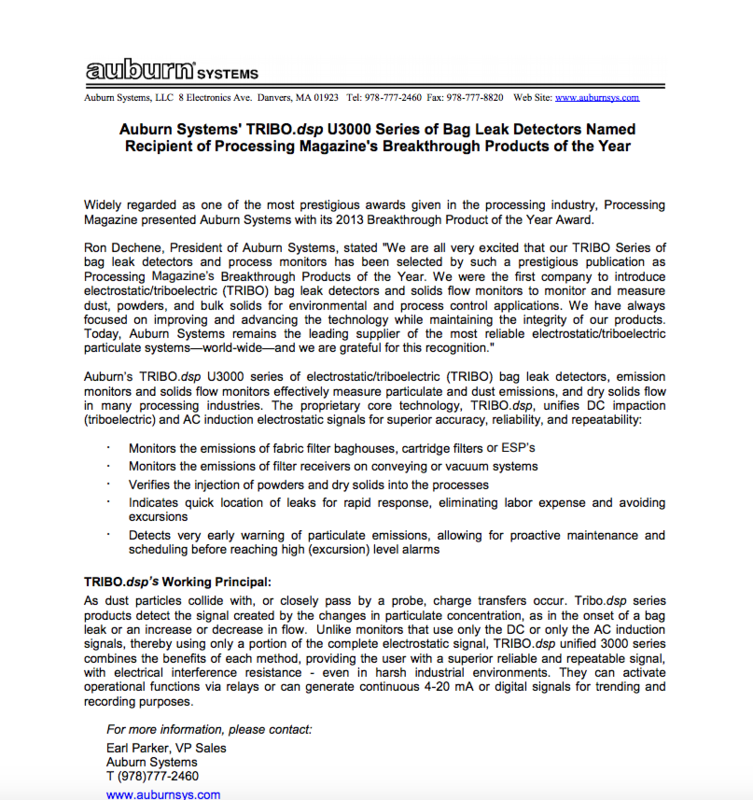 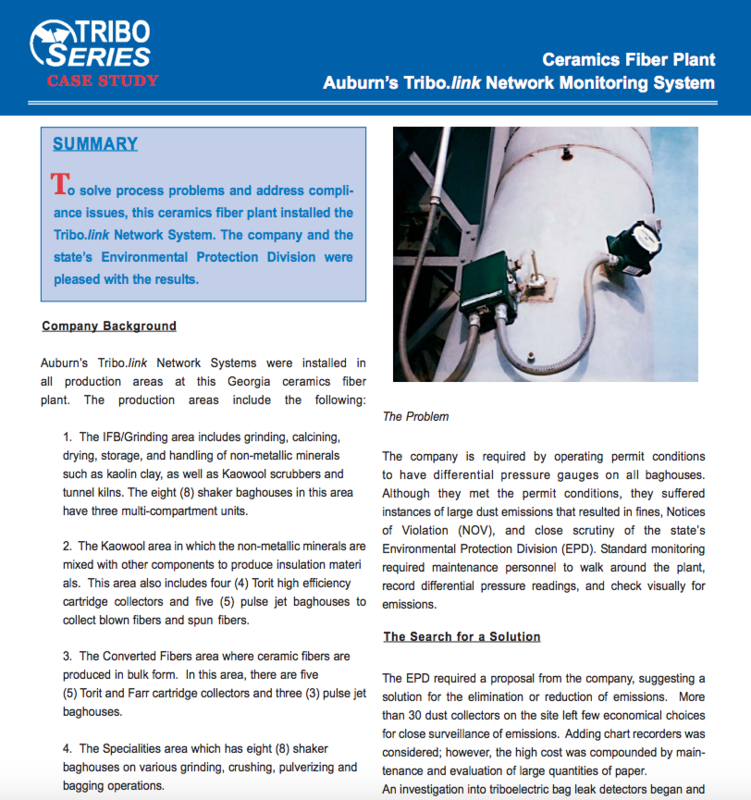 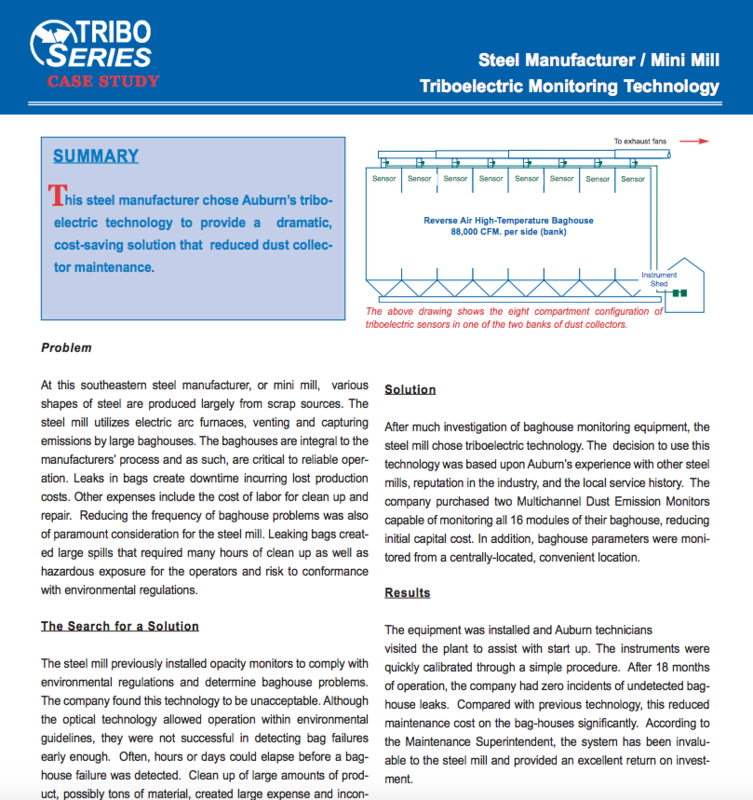 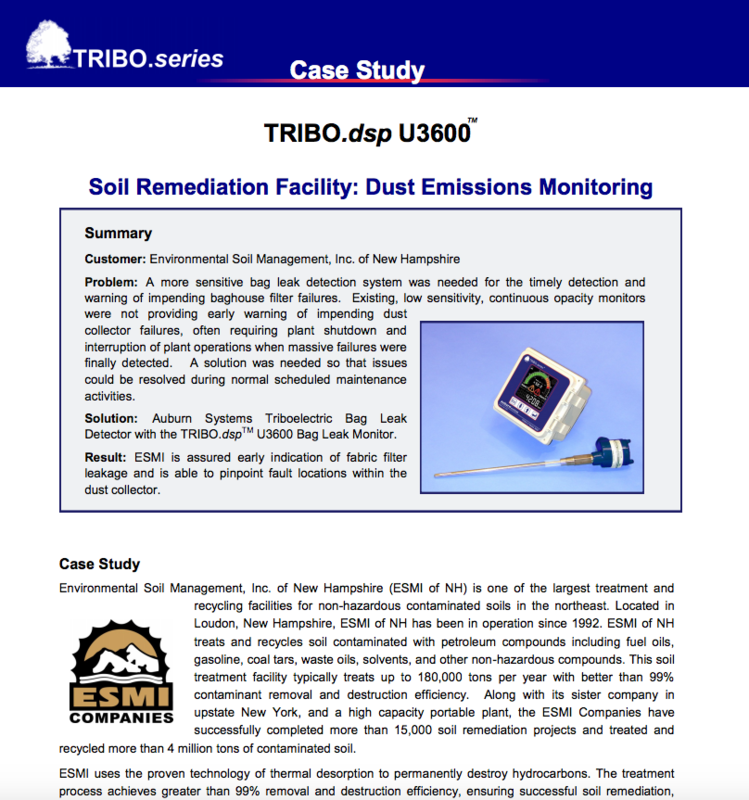 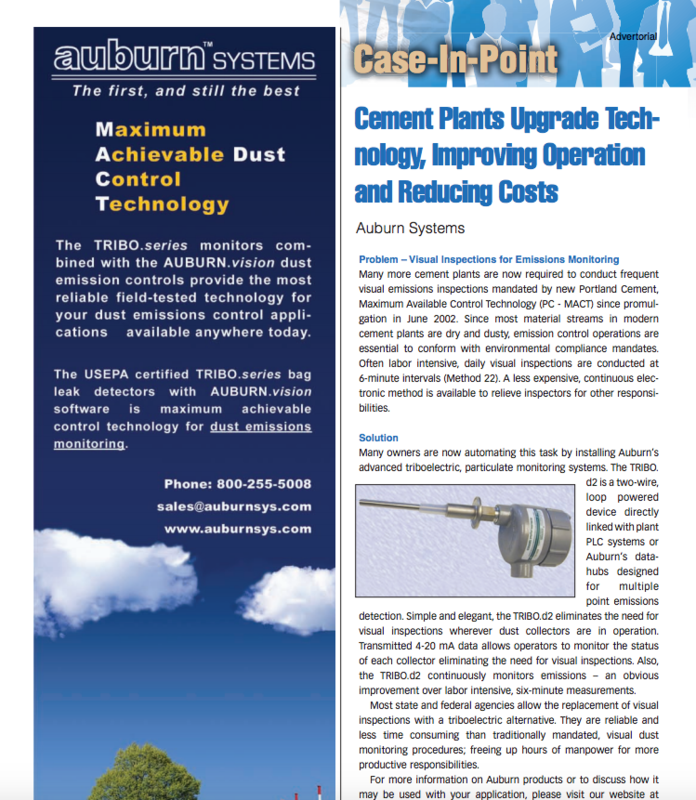 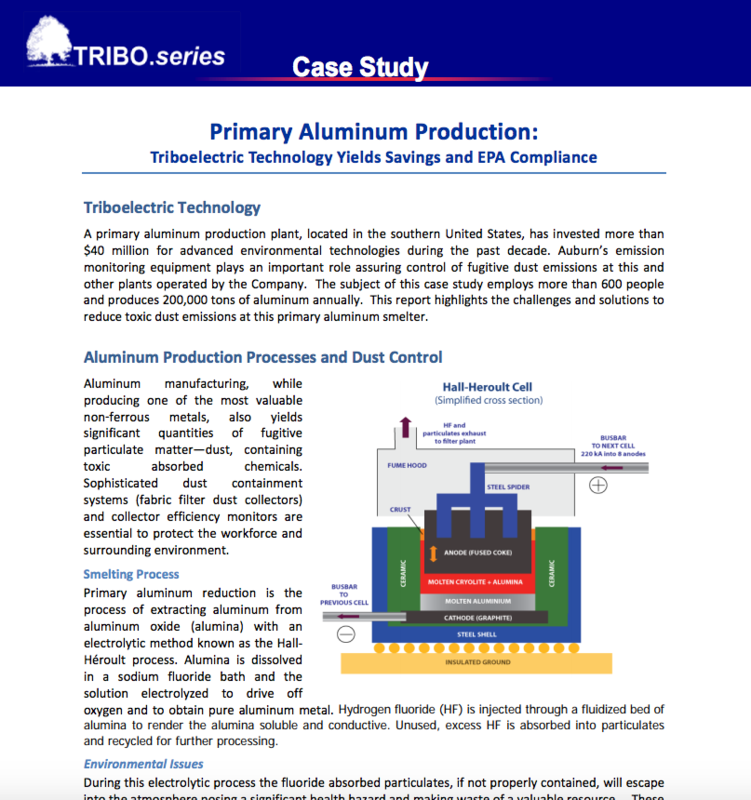 For over 40+ years Auburn Systems has provided triboelectric dust detection systems for various applications. 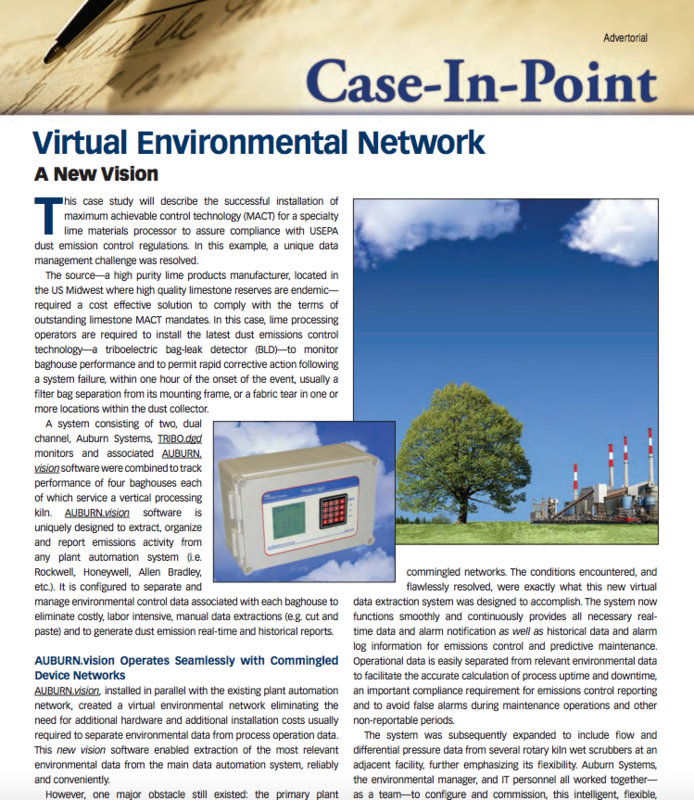 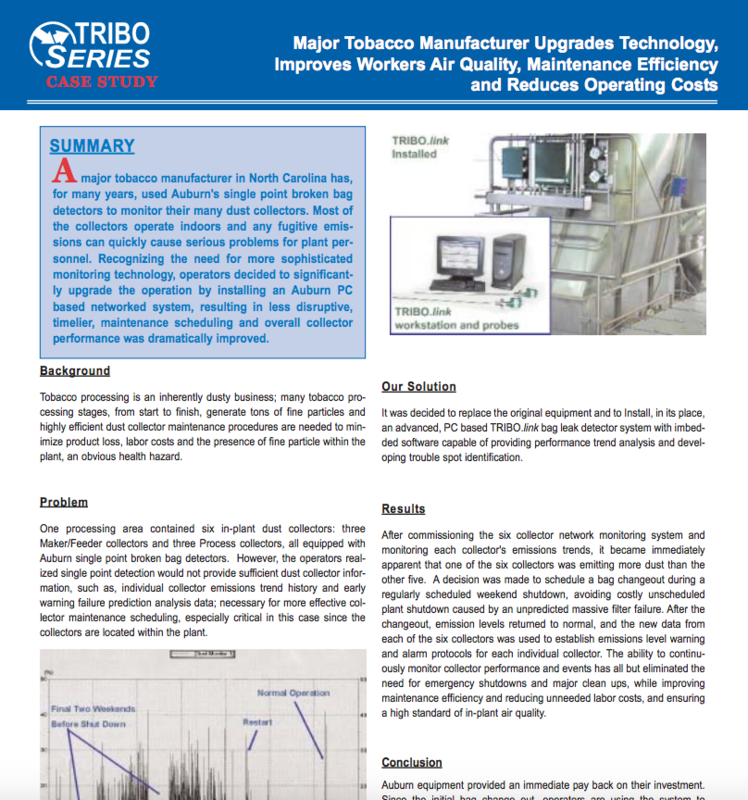 Below we have compiled a number of case studies from over 40 years of overcoming complicated engineering challenges to bring benefits to our customers. 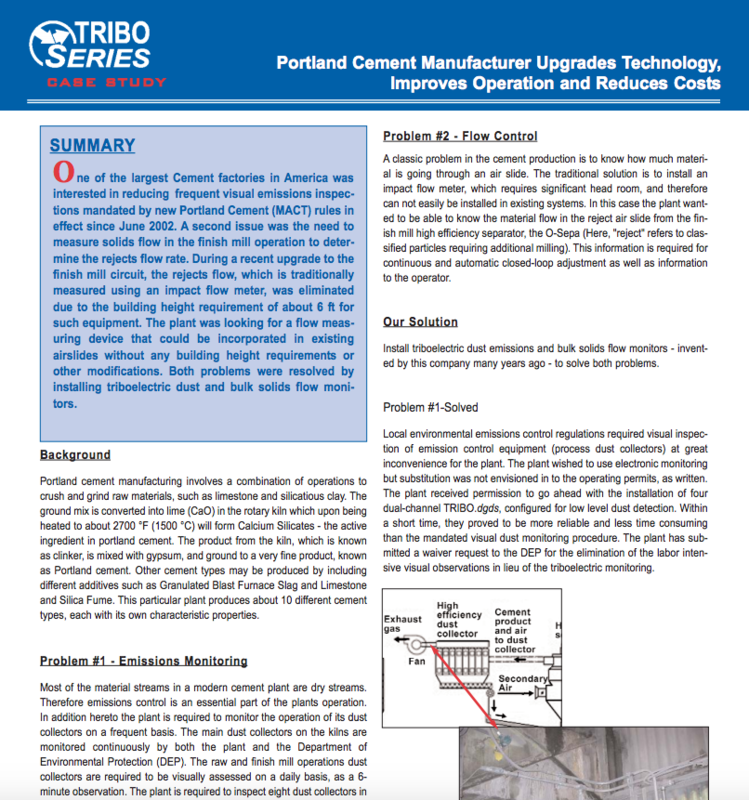 Feel free to contact us if you have any questions regarding the application of our products in your application.